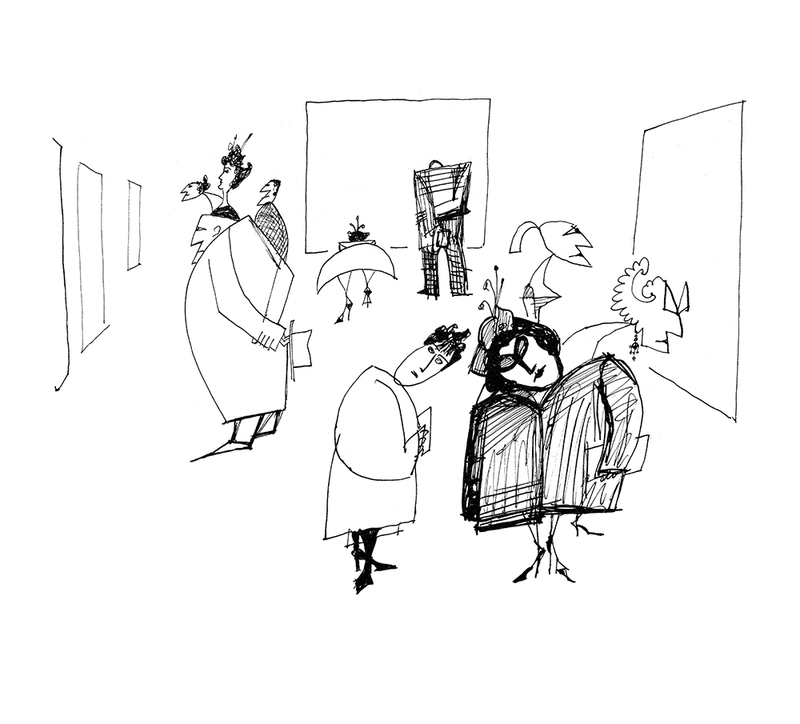 All images © The Saul Steinberg Foundation/Artists Rights Society (ARS), New York. Steinberg’s line is the line of a master penman and artist. It is also a “line”—that is, a kind of organized talk. The pen of this artist-monologuist brings into being pictures that are also words, e.g., the odd birds at a cocktail party. Or they are visualizations of things said, as in the drawings in his book The Labyrinth, where people utter flowers, strings of beads, heraldic decorations. Both because of his superb penmanship and the complex intellectual nature of his assertions, I think of Steinberg as a kind of writer, though there is only one of his kind. He has worked out an exchange between the verbal and the visual that makes possible.